My skin has been one of my biggest insecurities. I’ve had troubled skin since high school so achieving healthy glowing skin has been nearly impossible for me. I followed rigorous skin rituals and consulted dermatologists but unfortunately, doing so did little to improve my skin. Not even makeup helped me feel better. A few years ago, I actually tried using glutathione for its antioxidant properties.Though I wasn’t consistent, I noticed my skin had improved. My then boyfriend (now my husband) was using it routinely and we all noticed that he became fairer. They say the effect varies among individuals but the good thing is, we didn’t experience any adverse effects. Recently, I was introduced to a new brand of dietary supplements made in Japan called NuEssence that may help us achieve smooth, young-looking and glowing skin. 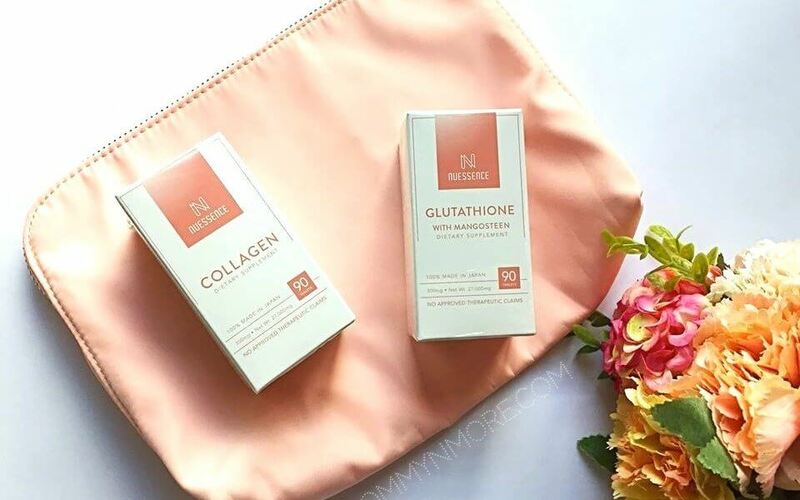 It comes in two variants: NuEssence Collagen Dietary Supplement and NuEssence Glutathione with Mangosteen Dietary Supplement. This feature is brought to you by Nu Essence. All opinions are mine. This post is not meant to treat or diagnose and should not take the place of personal consultation, as appropriate, with a qualified health professional. Before taking any dietary supplement, always seek advice of your own doctor in connection with your condition (pregnant, breastfeeding, diabetic, with thyroid problems) and health concerns.That way, your doctor can check on any potential side effects or interactions with any medications. Recently, there has been so much hype surrounding dietary supplements to fight aging and oxidants in our bodies. Two popular substances used are Collagen and Glutathione. Now, before I share about NuEssence let’s get to know a bit about these substances, shall we? They are the primary ingredients in the two variants available. Several recent studies have shown that oral intake of collagen helps reduce wrinkles and increase moisture in the skin. Possible side effects of taking collagen include increase in calcium levels or hypercalcemia. Too much calcium in the body can result to constipation, bone pain, nausea and abnormal heart rhythms. Collagen from marine sources may also cause allergic reactions. is a peptide consisting of three amino acids ( L-cysteine, L-glutamic acid, and glycine) that is produced naturally in the liver. It is involved in many vital functions such as tissue building, protecting cells from oxidative damage, and promotes cell function in the immune system. Recent research support skin lightening effect of oral glutathione and its anti aging properties. Taking glutathione long-term has been associated lower zinc levels. People who are allergic to milk protein are advised against taking any form of glutathione. Experts have not yet determined if taking glutathione is safe during pregnancy and breastfeeding. 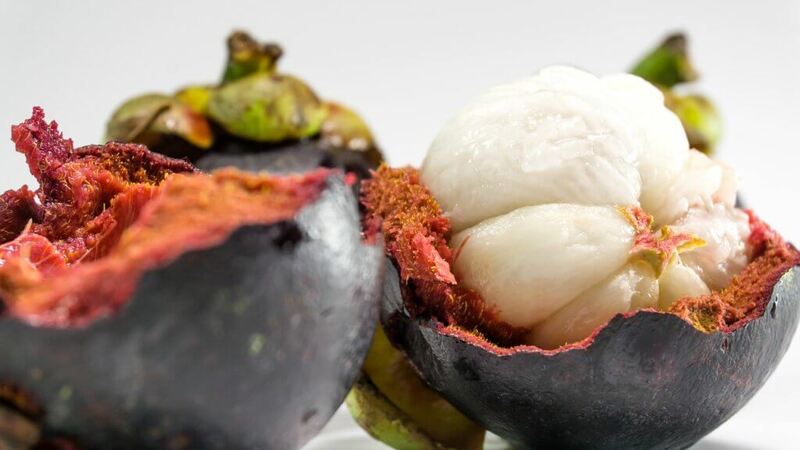 The fruit peel of mangosteen has bioactive substances such as flovonoids and phenolic acids which can help prevent premature aging and rejuvenate the skin. It also reduces the risk of inflammation and chronic diseases. Wondering where to get NuEssence? NuEssence dietary supplements are now available on Lazada Philippines and all Watsons stores nationwide! Coming soon on Beauty MNL and Mercury Drug stores. Find more info on the NuEssence Facebook page! Have you tried taking any supplements for your skin? Would love to know about your experience! Previous ArticleAnding’s Toys and Flowers Inc : Your One-Stop Divisoria Shop for Everything Fun! 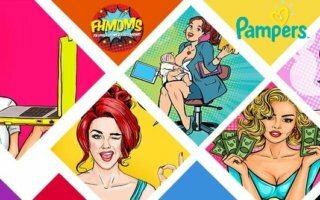 Fhmoms Celebrate Mother’s Day with Pampers!